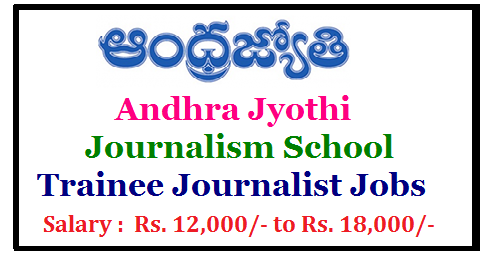 Andhra Jyothi Journalism School invites applications from Eligible candidates for the Admissions and Recruitment of Trainee Journalists. Conclusion : Interested candidates select the center name write the center name and mobile number clearly on Application form. The Written test and Interview details will be discussed by phone only. So the mobile number that is always available is must. Hi sir Karanam Raja Sekhar. 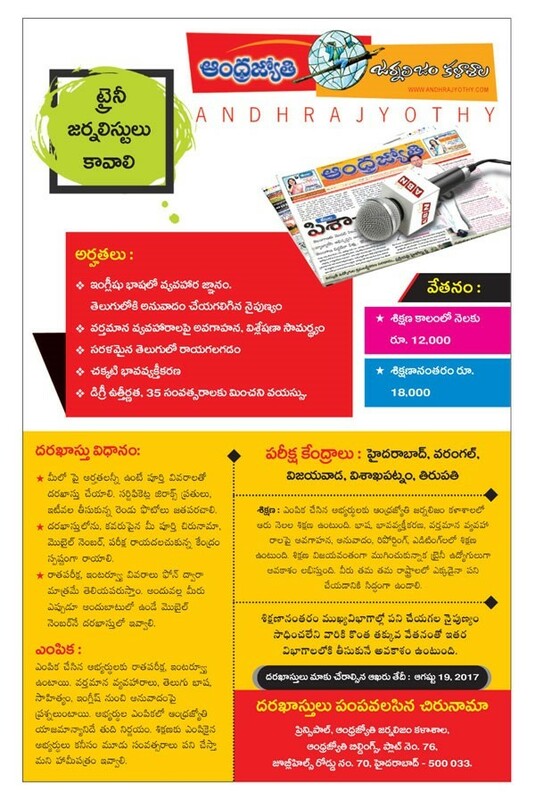 Nenu Hyderabad Exm center ku apply chesanu..
Kani naku tirupati Exm Center echaru... So akkadi hall ticllo's lo Naaa name ledandi. anantapuram deistic. Hi sir d z obulesu.k l can apply andhrajyothi journalism l can got exam with ur send msg but d't link d't openly so do help sir what can I do next pls inform to me d z cell no 8886259050 good 9 t sir by..!